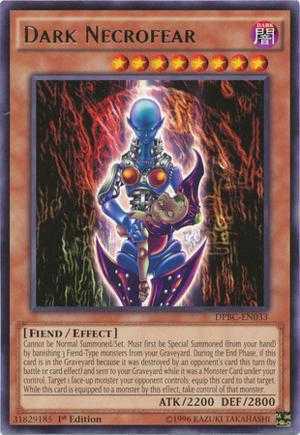 This page notes details of Fiend Griefing (Trap Card/Normal) : decks, tips, effect and rulings. Learn and enjoy playing Yu-Gi-Oh! Duel Links! Target 1 monster in your opponent's Graveyard; shuffle it into the Deck, then you can send 1 Fiend-Type monster from your Deck to the Graveyard. It can prevent your opponent from using cards from their Graveyard by shuffling it back to their deck. It can send a monster from your deck to the Graveyard. It can only shuffle monsters from your opponent's Graveyard back to their deck. 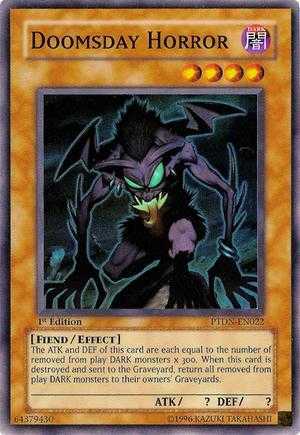 It can only send Fiend-Type monsters from your deck to the Graveyard. Can be used to help summon Dark Necrofear by adding fiends to your graveyard. Dark Necrofear requires you to remove 3 fiend type monster in your graveyard to special summon. You can speed up the summon by using the effect of Fiend Griefing to send fiends to the graveyard. 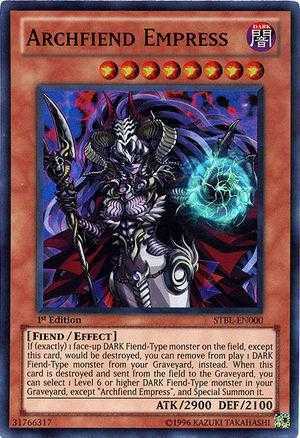 Archfiend Empress can negate the destruction of any dark fiend monster on your field except itself, but only if you remove a dark fiend monster in your graveyard from play. Use Fiend Griefing to help fuel this effect. Additionally when destroyed it can revive a level 6 or above dark fiend monster in your graveyard except Archfiend Empress. Doomsday Horror's stat depends on the number of banished DARK monsters. 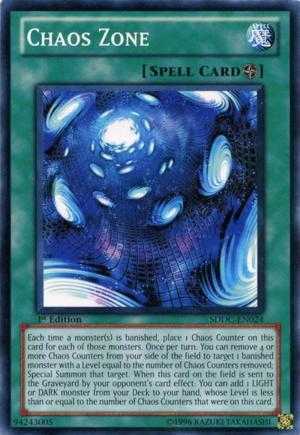 Chaos Zone gains Chaos Counter each time a monster is removed from play, it can special summon a banished monster to the field by removing its Chaos Counters. 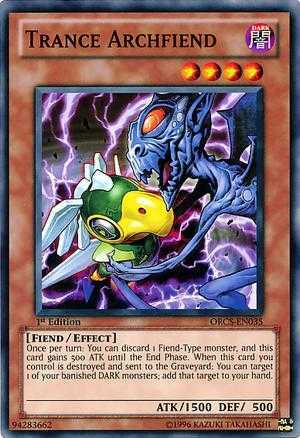 Trance Archfiend has the ability to add a banished monster back to your hand. Low-level Fabled really got cute artworks! An interesting card that can seriously disrupt decks like dragons, plants, zombies, etc. I think this is an underrated card. Can stop Pheonix and Red-Eyes in their tracks and add fuel to your graveyards for Dark Necrofear or Call Of The Archfiend. It SHOULD see some play now with the old school Archfiends running around now. It has plenty combo potential.